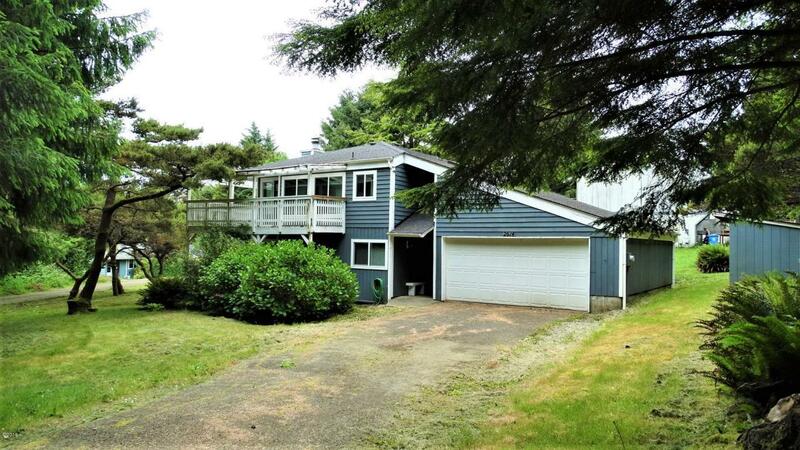 Contemporary Yachats Home with Reverse Floor Plan in Park-Like Setting! Rock fireplace, beamed ceiling, wrap-around decking above & below. Newer roof, vinyl & paint in 2008. New carpet. Such a deal!